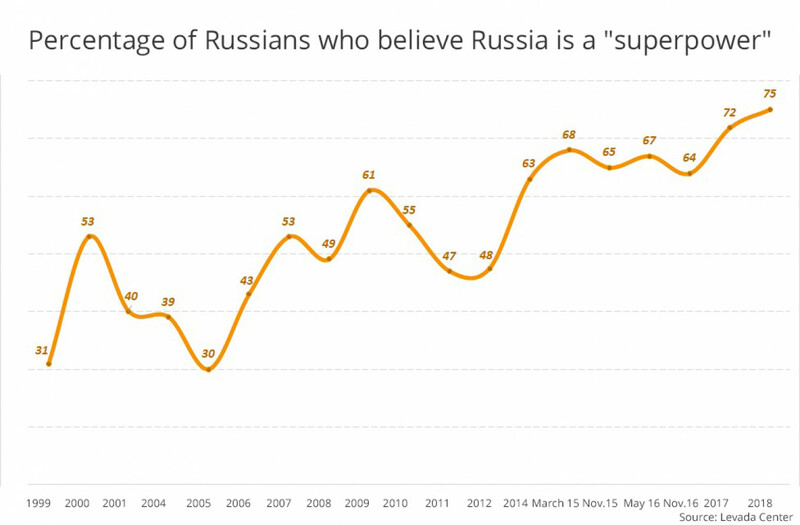 More Russians believe their country is a superpower than at any point in the past two decades, according to a survey published by the independent Levada Center pollster Thursday. 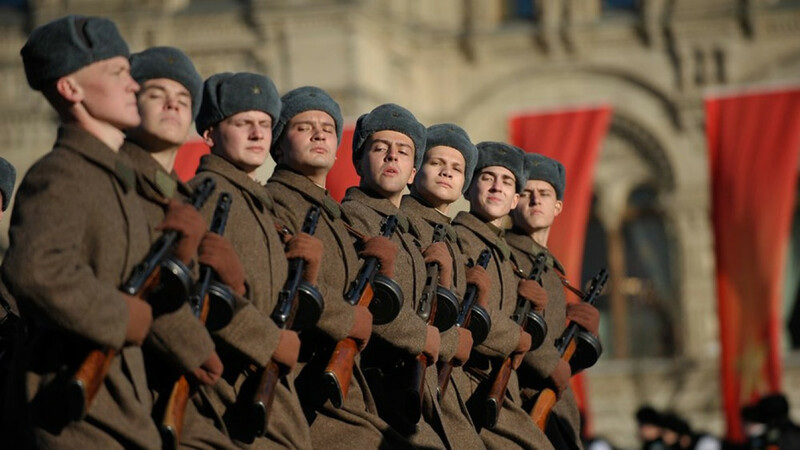 When asked which historical event they feel most proud of, the overwhelming majority of respondents – 87 percent – named the Soviet victory in World War II. The country’s achievements in space and the 2014 annexation of Ukraine’s Crimean peninsula, which Moscow views as reunification with Russia, lagged behind as the next most popular responses at 50 and 45 percent. Overall, 75 percent of respondents said they believe Russia is a superpower. The number has climbed steadily over the past two decades, from a low of 30 percent in November 2005. 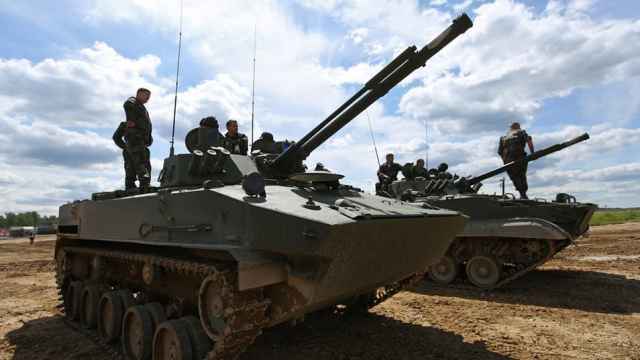 The number of respondents who say Russia must preserve its status as a great power also reached a historic high in the latest Levada survey, with 88 percent subscribing to the view, up from a low of 72 percent in April 1992. Meanwhile, 61 percent of Levada’s respondents reported feeling ashamed that “a great nation and a rich country lives in eternal poverty,” according to the pollster’s latest results. The Soviet collapse and “rudeness and mutual disrespect” reportedly brought shame to 45 percent and 37 percent of respondents. 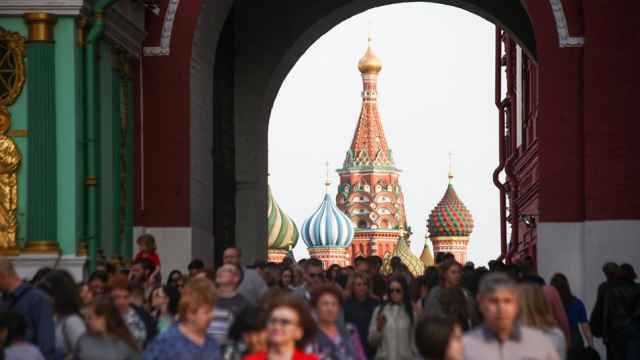 “There’s currently no modern, positive and collectively shared idea that could unite a fragmented Russian society without appealing to the past,” Levada sociologist Karina Pipiya told the RBC news website. Most of Levada’s respondents said they associate their nation with its history (53 percent), followed by geography and birthplace (35 percent and 33 percent). 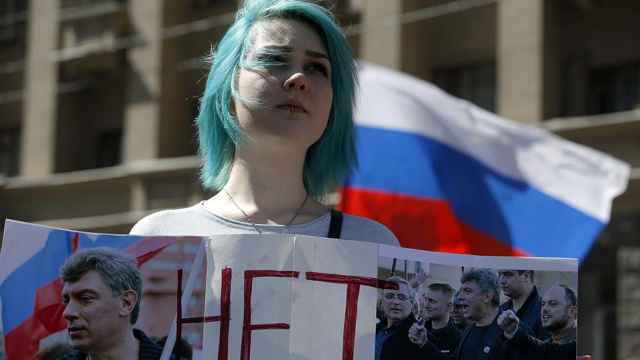 Public polling increasingly shows a growing number of Russians regretting the 1991 dissolution of the Soviet Union and approving of Soviet-era policies. 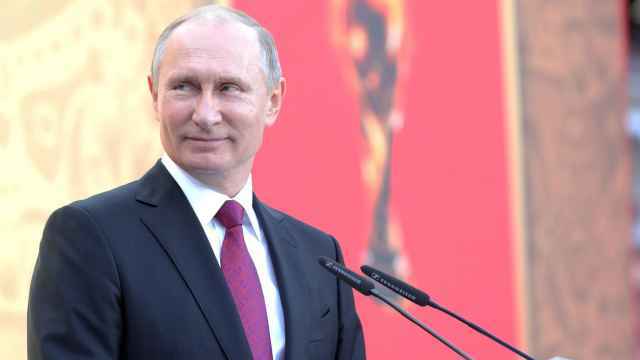 President Vladimir Putin, who called it the “biggest geopolitical catastrophe” of the 20th century, said last year he would reverse the Soviet collapse if he could. Nikolai Mironov, head of the Center for Economic and Political Reforms (CEPR), told RBC that the results reflect a “cognitive dissonance” between economic reality and what they see in the news. “Russians sense a catch in propaganda on foreign policy: if we’re so great, then why have many countries turned from us while others don’t value our friendship?” Mironov was quoted as saying. Levada’s poll conducted in late 2015 revealed a surge in patriotic feelings in the wake of Crimea’s seizure. Those who reported feeling “ashamed” of current developments dropped by a quarter in a decade [81% 1996 VS 55% 2015]. Levada carried out the latest survey among 1,600 respondents in 52 Russian regions between Nov. 22 and Nov. 28, and between Dec. 13 and Dec. 19. The Kremlin critic was assassinated in February 2015 in central Moscow.